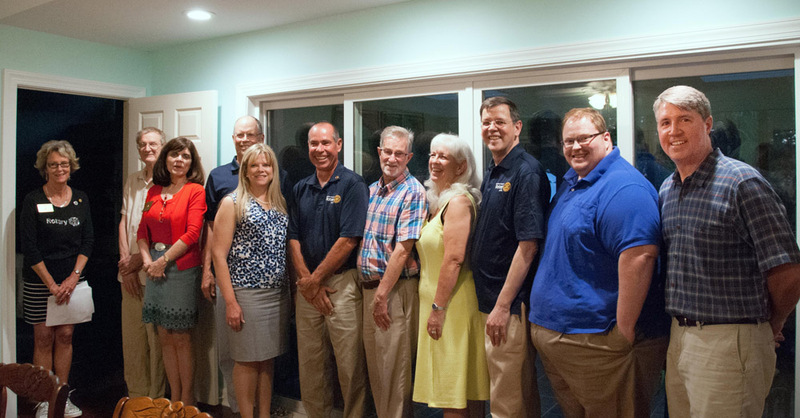 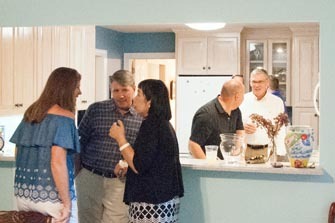 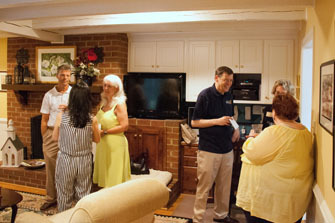 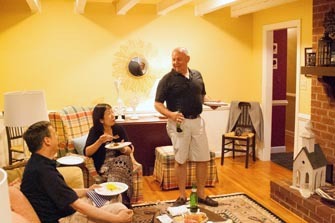 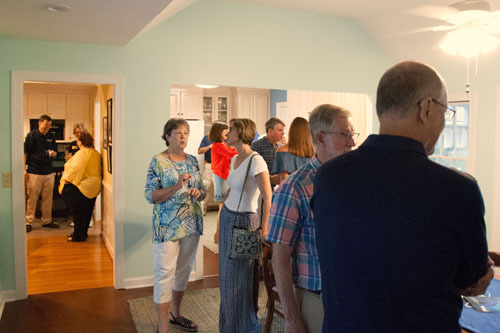 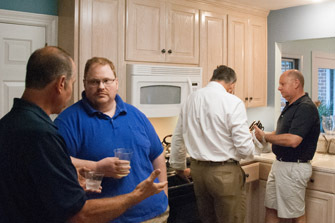 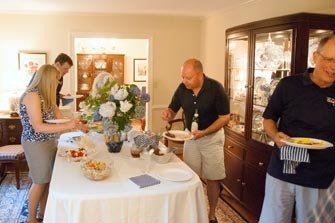 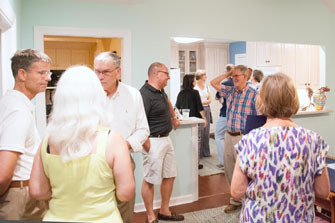 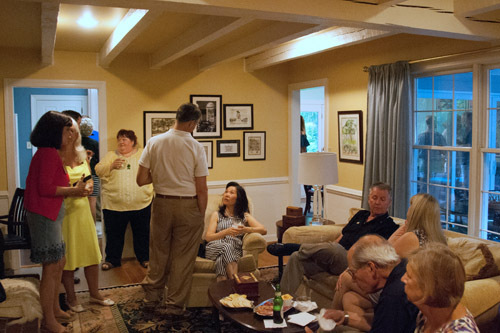 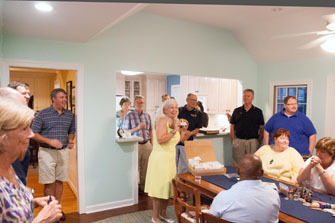 On the evening of June 29 the incoming officers and directors of the Rotary Club of the Virginia Peninsula were installed at Bill Ziglar's home in Poquoson. 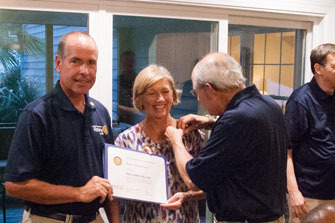 Above, the officers and directors--the new President's support--were installed by Past District Governor Diane Hagemann. 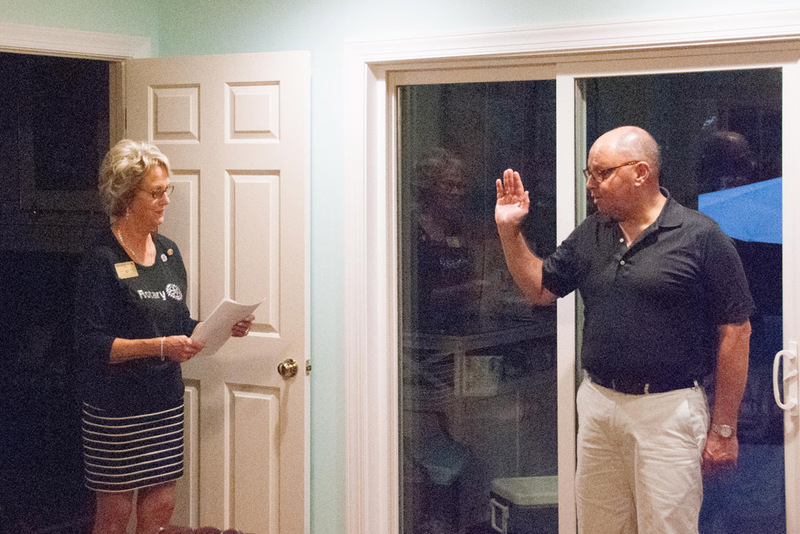 Below, new President Bill was sworn in by incoming District Governor Susan Zachensky-Walthall. 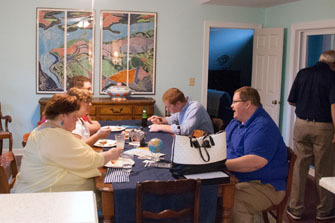 Still farther below, we gathered all the members present for a group photo.